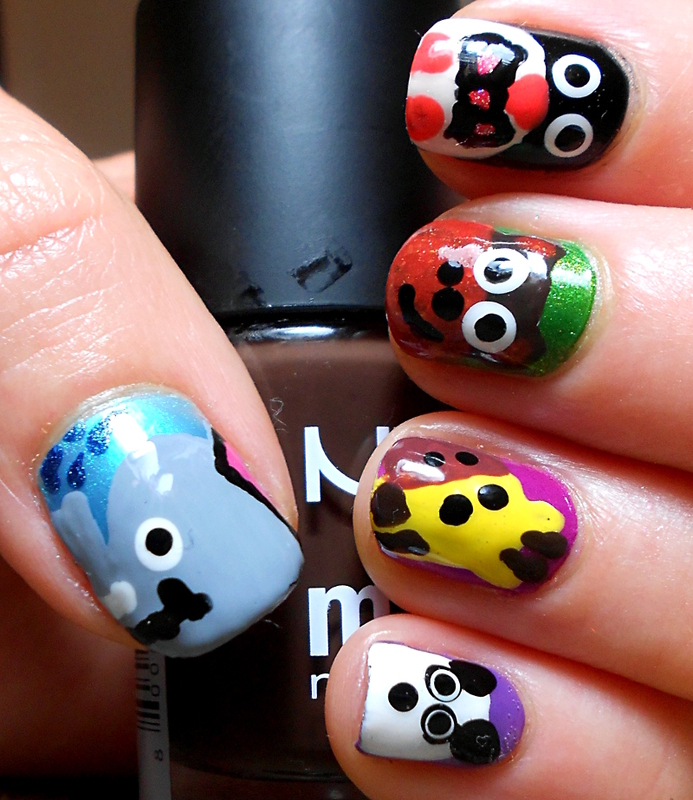 I followed her tutorials to create the world’s cutest little elephant, penguin, monkey and giraffe. I couldn’t find a tutorial for the panda but it’s also a design she’s done before and I just based mine on what she’d done. There are a few differences, of course, for example she used a sticker for the penguin’s bowtie and I did mine freehand (and in retrospect I should have left it off) and I naturally used different polishes. Nails Inc Special Effects – Electric Lane Holographic Topcoat. 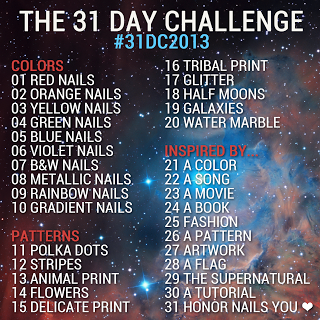 Tomorrow is the very last day of the challenge and somehow i have to choose just one design out of the hundreds and thousands of nails I love. 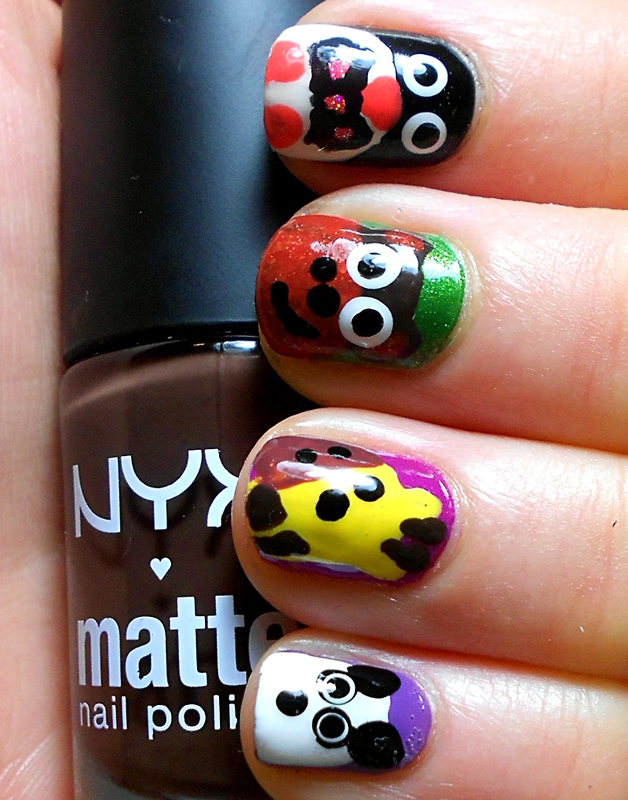 Take a look at the other tutorial-inspired nails for today at the link! How adorable and cute are those animals! I love them!!! 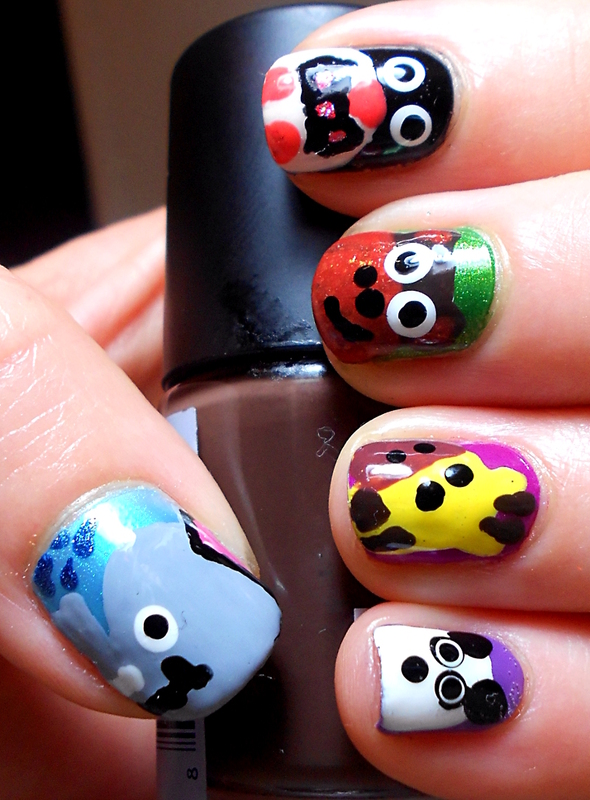 I must try little animals soon!